In effort to boost its intelligence gathering, France is pushing for a law to allow authorities to spy on the digital and mobile communications of anyone linked to a "terrorist" enquiry without any judicial authorization. The government presented the draft law to parliament on Thursday. “Facing an increasing jihadist threat, we have to further enhance the effectiveness of the surveillance against terrorists,” Prime Minister Manuel Valls said at a news conference two months after 17 people died in a series of terrorist attacks in Paris. Valls said the text of the draft provided the intelligence services the means enough to fight terrorism, yet respecting individual freedoms – a view, not supported by many human rights organizations and lawyers. The draft law would give the intelligence services the right to perform “security interceptions” of e-mails and phone conversations, to install radio beacons in a suspect’s cars, as well as microphones and cameras in their home. It could also be able to track what a suspect types on a computer keyboard with the use of special software, and also force internet service providers to hand over data to the security services. However the prime minister underlined that the draft “is not a French-style Patriot Act,” referring to the anti-terrorism laws introduced in the US after the 9/11 tragedy in 2001 that strengthened security controls. The future law only legitimizes the actions, already common among the intelligence services, so Valls added that “There will be no more grey zone,” as cited by Reuters. In January, following the attacks in Paris where 17 people were killed, Manuel Valls revealed plans to boost anti-terrorism strategies. 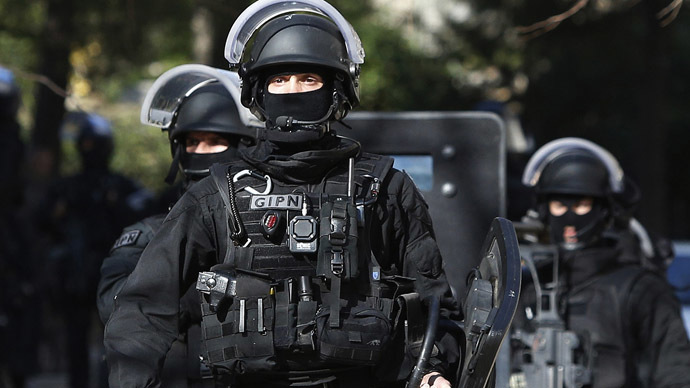 The prime minister announced that France will employ 2,680 extra anti-terror operatives with a €425 million increase in funding.